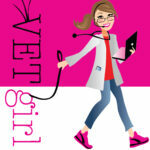 Today's guest blogger on VetGirl is Dr. Catherine Lenox discusses all you need to know about creating a balanced, homemade diet for your veterinary patients. Dr. Lenox is a board-certified veterinary nutritionist with an interest in homemade diet formulation. First, we’re going to talk about complete and balanced diets. You have probably heard the term “complete and balanced” in reference to pet foods. This indicates that the pet food contains all essential nutrients, and that they are all in the proper amounts and proportions, without excesses or deficiencies. Nutrient requirements are outlined by the National Research Council in the book Nutrient Requirements for Dogs and Cats, and in the Official Publication of the Association of American Feed Control officials. Homemade diets are usually only complete and balanced if formulated by a veterinary nutritionist (a Diplomate of the American College of Veterinary Nutrition). There are a lot of homemade diet recipes available in either books or on the Internet, but three recent studies (all published in JAVMA) have indicated that homemade diet recipes in books and on the Internet, intended for adult maintenance, cancer patients, or patients with chronic kidney disease, are not complete and balanced. They usually lack proper quantities of essential nutrients, they can have nutritional excesses, and they can actually be detrimental to the patient (for example, some of the renal diets have too much protein in them). Ideally, all homemade diets would be formulated by a board-certified veterinary nutritionist. The benefits include nutritional expertise, a customized diet for each individual patient, and a good understanding of the medical issues that need to be dealt with from a nutritional standpoint. The books on homemade diets and Internet recipes provide “generic” recipes that are not patient-specific, and the instructions can be difficult to follow. The recent studies I mentioned earlier indicated that almost all “generic” diets had at least one nutrient deficiency, and the directions were, in general, somewhat vague. Components of a homemade diet, at a minimum, include a carbohydrate source, protein source, essential fatty acid source, and a vitamin and mineral source. Additional ingredients may include vegetables, fruits, fish oil, and additional fat sources that are not essential fatty acid sources (such as coconut oil). I do formulate diets that contain multiple protein and/or carbohydrate sources as well – it just depends on the patient and the owner’s preference. In addition, I will also occasionally formulate what I call a “combination diet.” These diets have both commercial and homemade components. Canine vitamin supplements, unless designed to accompany a homemade diet and make it complete and balanced, are unlikely to balance the diet. There are several pet vitamin supplements out there, but these tend not to work alone for a homemade diet – they just don’t have enough calcium or other nutrients. These tend to be supplements for dogs consuming complete and balanced commercial diets..
A lot of people ask me why I formulate so many homemade diets. I get questions like: what is the motive behind it? Is it better for a pet? Is it safer? A large percentage of my practice is homemade diet formulation. I would say, though, there are so many different reasons for putting a pet on a homemade diet – it is hard to classify some of them. However, the main reasons are: owner preference, patient preference, and for medical reasons. Some owners simply prefer to cook for their pets. Many of them are already doing it when they come to see me for diet formulation, and are using an unbalanced homemade diet, so I am happy to help get their pet in a better nutritional state. There are many reasons why owners prefer to cook – sometimes they feel like it helps them bond with their pet, and sometimes it is because they are afraid of commercial pet food. While I don’t believe that owners need to be afraid of commercial pet food, I would rather help them cook properly versus them feeding an unbalanced homemade diet. Sometimes, patients simply prefer homemade diets. Many patients that have systemic disease can be picky and they just eat better when they consume a homemade diet. Patients with kidney disease or gastrointestinal disease are good examples. Homemade diets can be more palatable than certain commercial diets for pets with systemic disease. I agree with owners that appetite is a huge quality of life issue – so sometimes I can help improve quality of life by making their food more palatable. The final reason we will discuss is medical necessity for a homemade diet. Certain combinations of disease make commercial diet selection tricky or impossible. For example, there is no good commercial diet that is ultra-low fat and novel protein. For my patients with lymphangectasia and inflammatory bowel disease, I actually prefer to formulate a homemade diet because I think it manages the combination of diseases better than a commercial diet. Another good example is a patient with cutaneous adverse food reactions and chronic kidney disease. There is no good commercial novel ingredient or hydrolyzed protein diet that is suitable for renal disease. In these cases, I prefer to formulate a homemade diet to help manage both diseases. A good resource to help find a veterinary nutritionist for a homemade diet consultation is the Diplomate directory at www.acvn.org. If there isn’t a nutritionist in your area for a direct referral, you can consult with many of us remotely. Copyright Dr. Catherine Lenox and Lenox Veterinary Nutrition Consulting. I would be most interested in obtaining a formula for a home made diet for my 12 year old Jack Russell Terrier with newly diagnosed and “textbook” as shown on u/s – lymphangiectasia. I have cooked for him in the past and am loathe to feed him any of the canned or dry low fat commercial food. Thanks so much for writing – it’s great if you want to cook for him, but I would recommend that you find a board-certified veterinary nutritionalist as they need to create this uniquely for your dog (e.g., low fat, etc.). I am currently cooking for my dog. I am wanting to be sure he is getting the correct nutrients with each feeding. My vet gave me your name and number at your previous job, but you are no longer there. I was able to locate you after doing a search on the internet. I live in Austin, Tx. My dog is a 9lbs Chihuahua (we are working on getting him back to 8lbs). Can you send me information on how we would set up a consult with you and the cost or would my vet have to start the process? I have a 9 am Great Dane puppy and would like to start making her food. I have heard they may still need Kibble or supplements. Can you recommend any? I never recommend homemade diets for puppies- especially large breed dogs like GDs. I’d definitely consult a board-certified veterinary nutritionist to be safe – you can find them at the ACVN.org website!